Whether you like to exercise or not, it's something we all MUST do. You may read that and cringe a bit, but our bodies need it. If we want to stay strong and healthy for our children and grandchildren we need to spend time building strength and conditioning our hearts. I grew up playing sports, and have always loved aerobics. 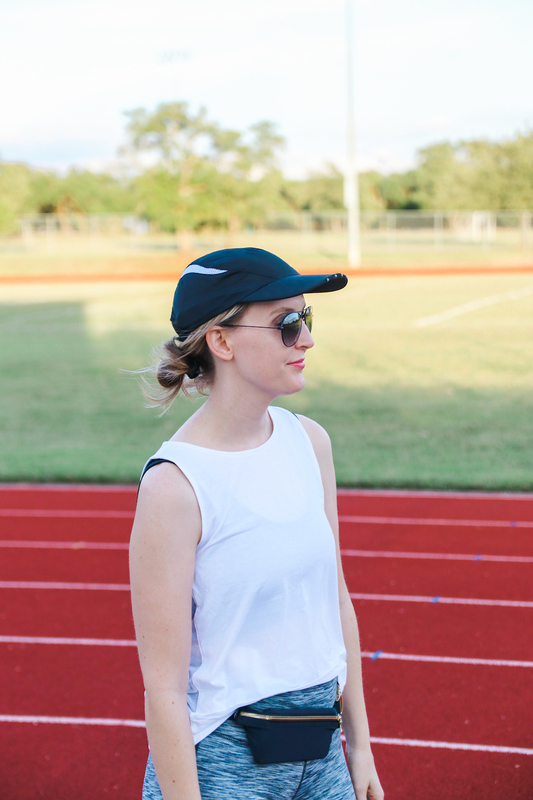 As I've grown older it's become harder to find the time to dedicate to exercising, especially as a mom. 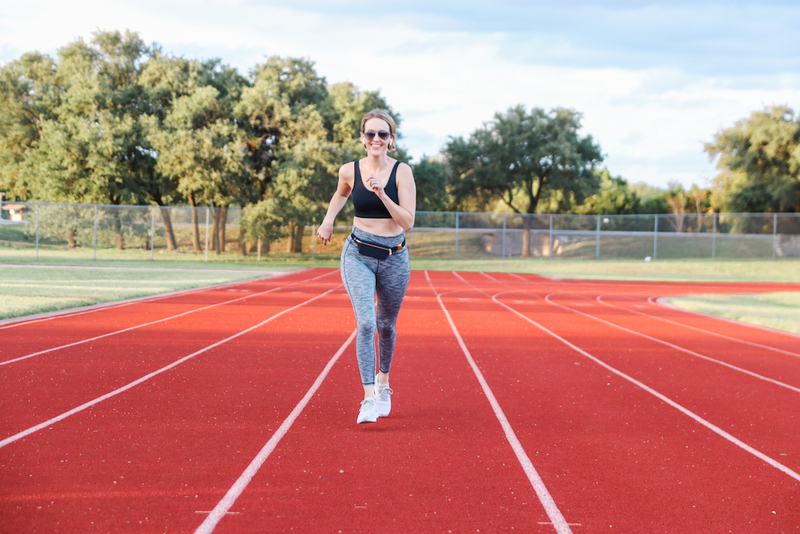 I've partnered with Austin based, SPIbelt, to share my tips on how to prioritize exercise as a busy mom! I believe this is an important message for all mothers. Why is exercise important to you? Maybe it's to set a good example for your kids. Maybe you need more energy and exercise helps. Maybe you suffer from depression or postpartum anxiety and exercise is an outlet. Whatever the reason is focus on it! Forget the ideal weight you want and focus on how good you want to feel. I think it's important to find exercises you enjoy. Don't get me wrong, I don't love the feeling of my legs burning or my heart beating so hard it feels like it's going to burst out of my chest, but the feeling after an intense spin class is the best! Plus the fun music distracts me most of the time. Once you train your body to experience the amazing high after a work out, it will be easier for you to get out of bed or work out at night once the kids are in bed. You know the pain is worth the reward. Some workouts I enjoy include PureBarre, Zumba, yoga, spin, pilates and any Les Mills class. 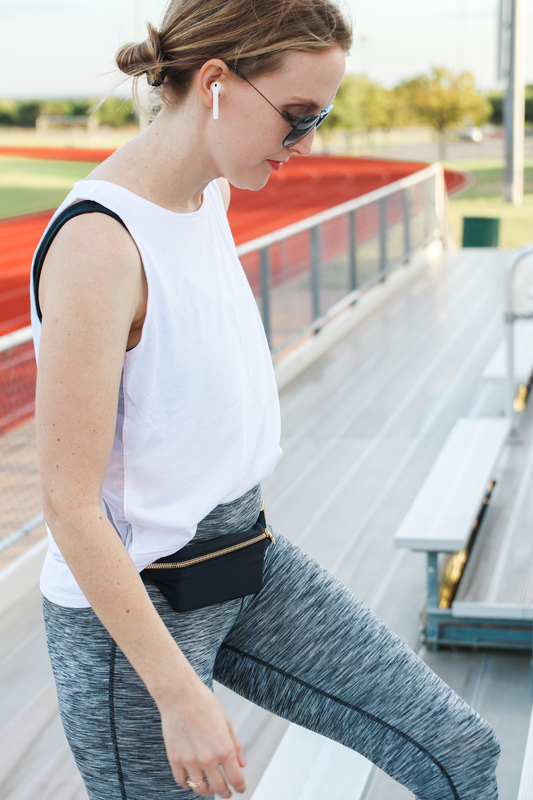 I recently got a SPIbelt and I freaking love it because I can carry my phone hands free while I exercise. It's been helpful when I'm lifting weights at the gym and don't want to worry about putting my phone down between every machine. I also use it when I go for "power" walks. 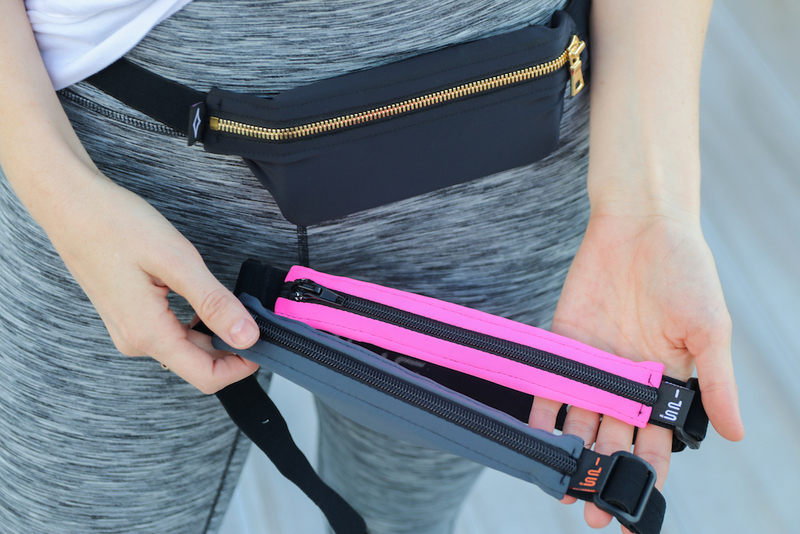 I can carry my keys and phone in the SPIbelt and not worry about losing anything. I enjoy listening to podcasts or talking to my family while I walk. It's bounce free and expands to hold any size of phone depending on which style you choose. If you are a runner the SPIbelt and the SPIbeams LED Hat are essential (also serves as my son's reading light)! They have a ton of color and sizing options so check out their site for my styles! Whether it's to move your body three times a week, twice a week or everyday. Set a goal for yourself, and find someone to keep you accountable! Grab a friend or neighbor to join you, and reward yourself after the workout so you have something to look forward to ; ). I try my best to plan out my workout routine in advance. At the beginning of the week I will look at everything I have going on and figure out where I have pockets of time to exercise. I work from home on Fridays, so I know on Friday morning I'm going to a 6am spin class because I don't have to rush home to get ready. Monday nights are usually pretty slow so I like to take a 7:30pm yoga class at the gym near my house. Writing it down in your planner or scheduling it in your phone is very important. You have to make intentionally make time for it in your schedule or it will likely not happen. I've pretty much tried every type of workout and over time I've found what works best for my schedule and my body. Get adventurous and try new things! My goal is to be a good example for my children about what a healthy exercise routine looks like and also stay strong so I can be an active grandma one day ; ). You owe it to yourself mamas, your body is an amazing thing! 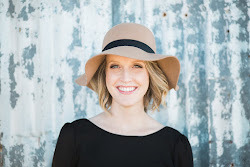 Thank you SPIbelt for sponsoring this post! All thoughts and opinions are my own. I used a spi belt when I ran my first half marathon and it was perfect. Definitely agree with planning my exercise for the week just like I plan my calendar. If I don't plan ahead I will most likely find a way to skip my workout.